India, on the other hand, may take some shipments next month if the waivers are extended because shipping time from Iran is only about a week, the people said. 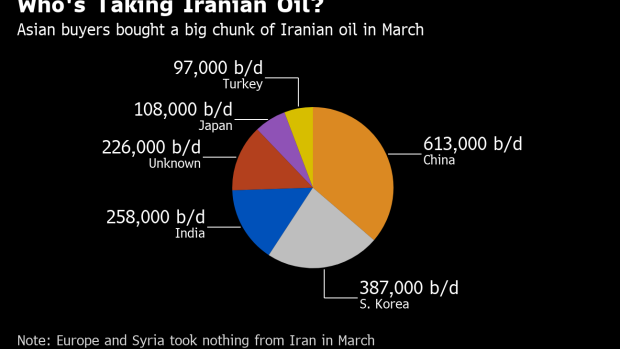 The South Asian nation was already in discussions for an extension of the waiver and the country’s processors are allowed to import 9 million barrels of Iranian oil every month under the 180-day exemption. --With assistance from Debjit Chakraborty, Heesu Lee and Tsuyoshi Inajima.